I have enjoyed 3 contests – 4 if you include the Aussie ladies winning the World Cup against England which was extremely praiseworthy. England men won the 3rd Test against Sri Lanka despite a wonderful last wicket stand between numbers ten and eleven. Well done England winning 3-nil. Pakistan levelled the series 1-1 against New Zealand 5 minutes ago. Yasir Shah took 14 wickets,equalling the 14 – wicket record of Imran Khan. 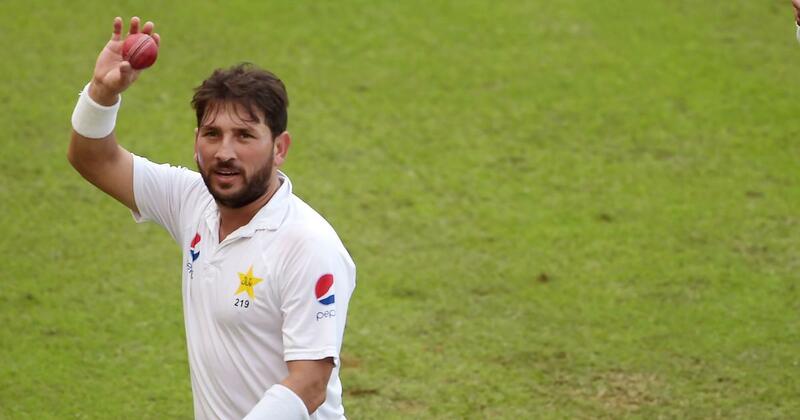 When making his Man of the Match speech Yasir began by giving thanks to Allah. When Shane Warne made his many MOM speeches. D o you recall whom he gave thanks to ?? Finally, Kohli won the third match against Australia,levelling the series 1-1. Everyone is expecting the Aussies to be thrashed in the Test matches by Kohli’s Indians. However,I am not so sure about this. The Aussies have a fearsome bowling attack and I am not at all convinced by the Indian attack. It will not be a one-sided series. 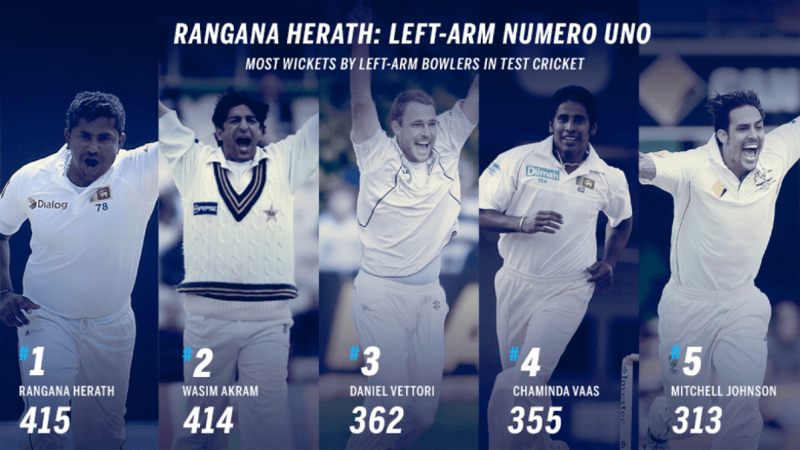 Rangana Herath went past Wasim Akram to become the most prolific left-arm bowler in Test history when he dismissed Bangladesh’s last wicket. Akram took 414 wickets at an average of 23.62 in 104 matches. Herath, on the other hand, was playing only the 89th Test of his career. New Zealand’s Daniel Vettori is third on this list with 362 wicket from 113 matches. Chaminda Vaas, Mitchell Johnson and Zaheer Khan are the only other left-armers to take at least 300 Tests wickets. Akila The Hun … in Hunanjaya!! How did we get here? How did we hurtle, from the dullest 11 sessions of Test cricket possible, to this stirring, heart-palpitating, dramedy of a conclusion? 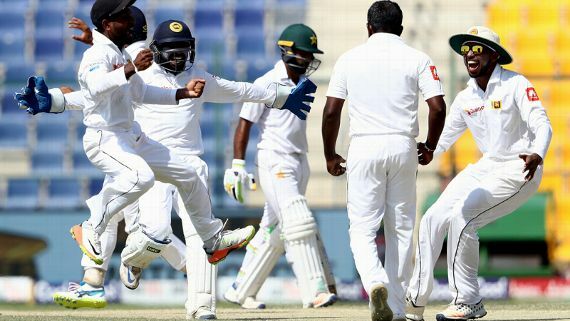 Sri Lanka, out of the match surely when they set out to defend 136 after lunch, yet victors by 21 runs, Rangana Herath breaking records, scuttling Pakistan again – 6 for 43 to his name. 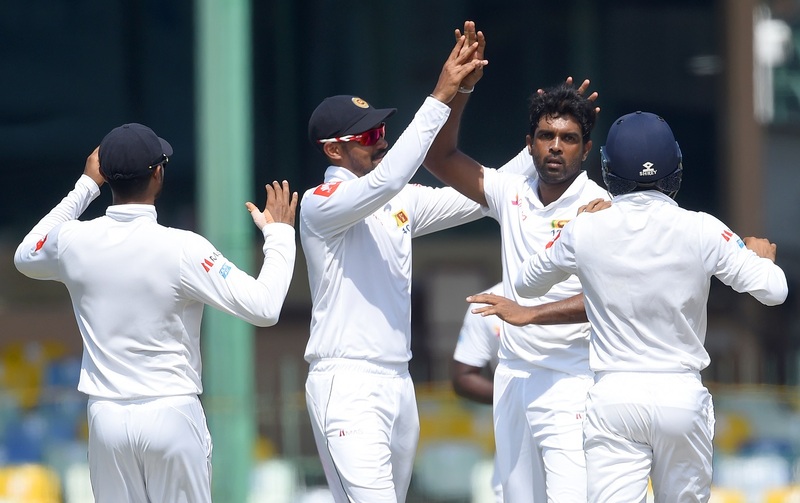 The pitch began to sing for him, the batsmen played him with fatal hesitation, Dilruwan Perera was even denied the winning wicket by a no-ball, just so Herath could complete 400 Test wickets – the first left-arm spinner to the milestone. Sri Lanka go wild after Rangana Herath gets rid of Asad Shafiq Francois Nel/Getty Images Read the rest of this entry ? Modest yet amazing, and humble yet incredible. A man of very few words but mighty deeds. Outstanding Personalities features spin bowler Muttiah Muralitharan who is regarded as the greatest bowler in the history of test cricket. 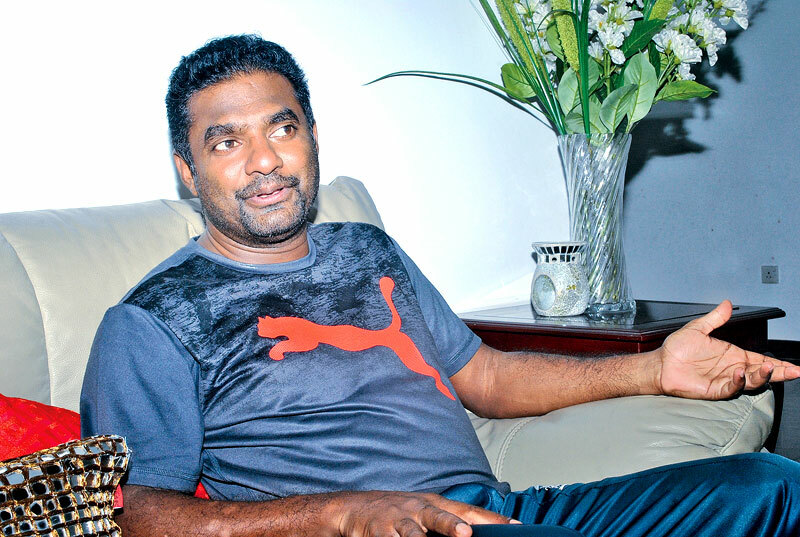 Muralitharan holds the world record for the most number of wickets in both test and one-day cricket. Q. Murali, you are the greatest bowler in test cricket and one day internationals claiming the highest number of wickets; 800 in test cricket and 534 in one-day international cricket. How do you evaluate your career? A. I had a great career. I am very happy about what I have achieved. And I became the highest wicket taker in both forms of the game. So I am very happy about it. Another good man leaves us. 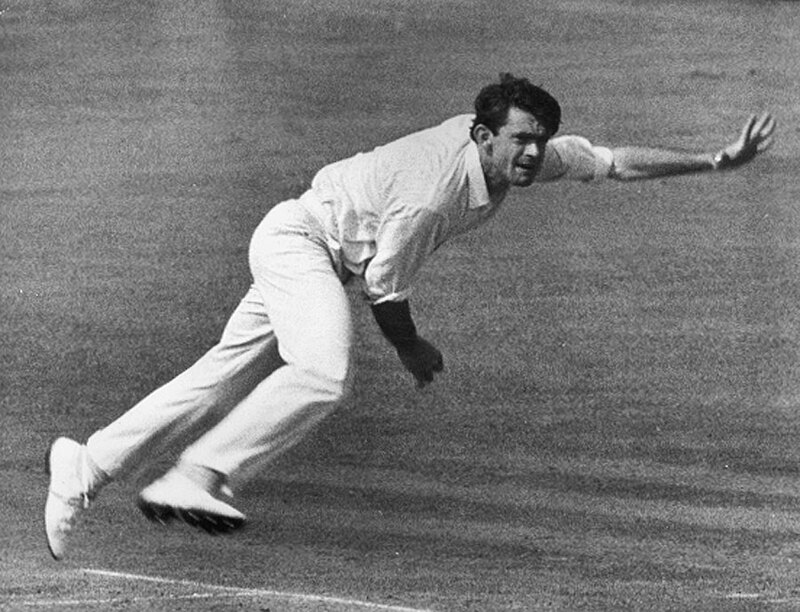 Remember the days when Australian Test cricketers carried an air of mystique. When they weren’t thrust upon us. When they went about their business with quiet dignity. When bowlers obviously had plans to dismiss top-line batsmen on the other side and didn’t blather on about ‘targeting’ them. When there was a little more grace in the game. You are currently browsing the archives for the bowling average category.